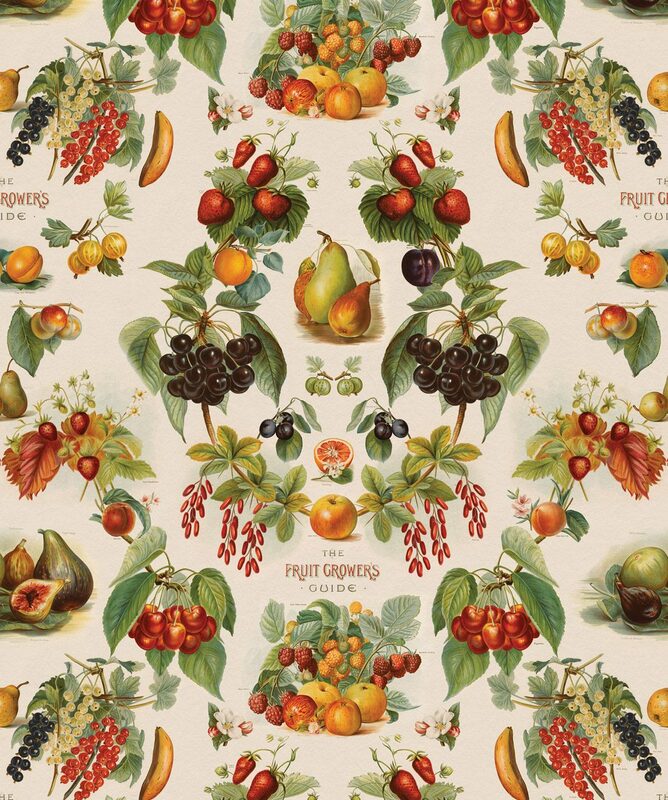 The Fruit Growers Guide removable wallpaper design is a larger style damask wallpaper featuring an array of fruits and vegetables that is sure to make salvate. Complex color combos add an element of cheer to a lifeless room. 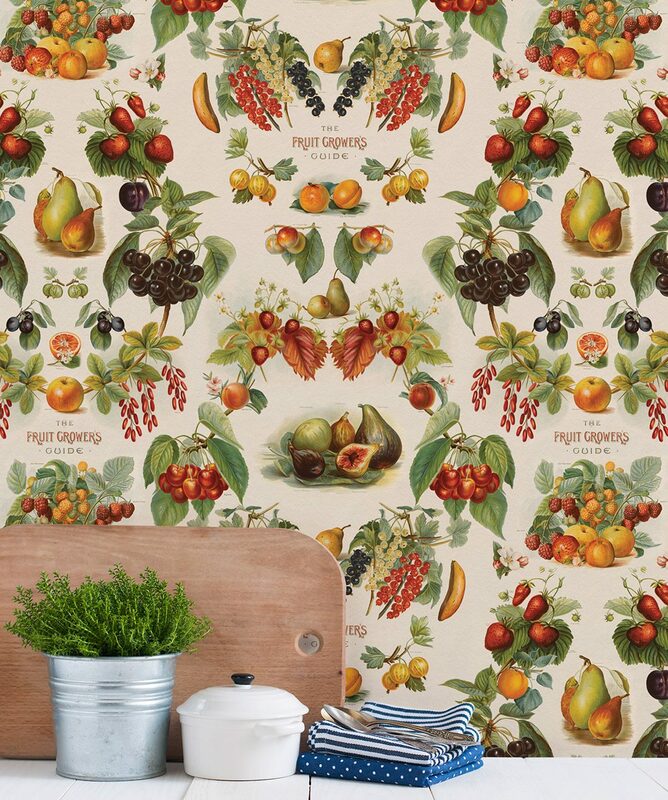 This a unique kitchen wallpaper. 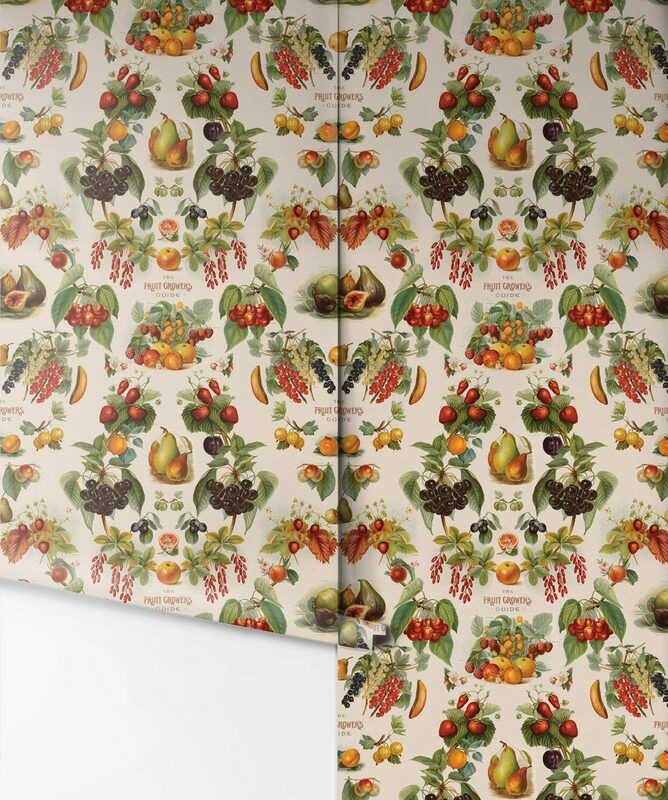 This easy to install wallpaper is also easy to remove and leaves no mess behind.